We spent days meandering the streets of Tunis. We hopped trains to Sousse and Carthage. We celebrated with the locals on the one year anniversary of the departure of Ben Ali. 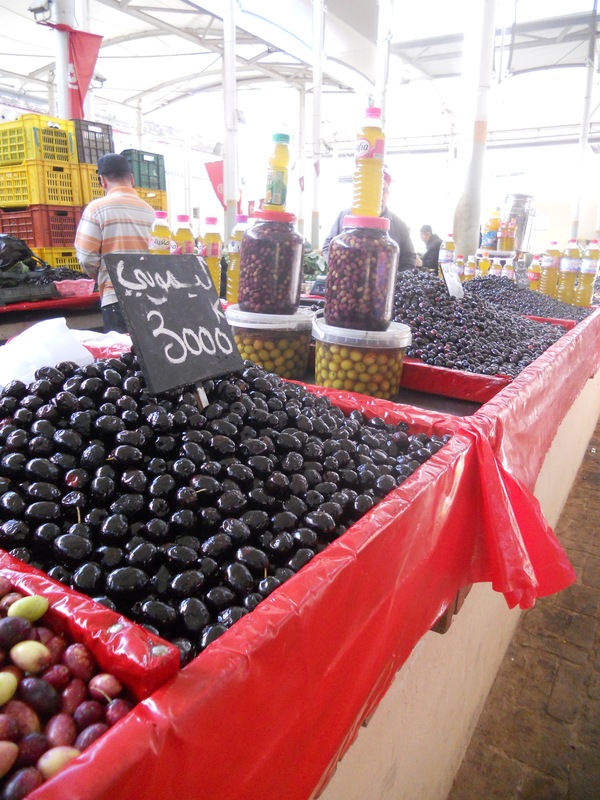 Olives factored into our lives there with every meal, served in a big bowl beside the olive oil, harissa and bread. A perfect complement to the spicy tomato-based, lamb sausage soup that I can still taste today. We found the market the day before we left. We could see it from our balcony at the hotel, but we never quite realized what sat under that massive building always boisterous from the first light. That’s where I snapped this photo of olives, in all their rich varieties. Every time I taste a good olive, a real olive, not one that’s been industrialized and reduced to life in a can, I return to Tunisia. Food, music,Endearing behaviour, unexpected kindness by strangers.., these are some of the great invaluable rewards for undertaking travel..Particularly in the case of natural foods, memories linger much longer and serve to transport you back in time, whenever even a mild smell of a long past experience wafts by. You’re so right! Just like Orangina and croissants automatically taste like Paris no matter where I am.